Some of the acronyms that are used to describe government benefit programs are confusing, because there are overlapping terms, and we endeavor to clear up this confusion from time to time on our blog. With this in mind, we will look at the differences between SSI and SSDI in this blog post. When you are working throughout your life, you see a FICA deduction when you receive your pay statement. This tax can seem like a constant drain on your resources, but you do get something in return. You earn retirement credits when you pay this tax, and if you accumulate at least 40 credits throughout your working career, you will qualify for Social Security and Medicare as a senior citizen. Since you get one credit for every $1220 that you earn (this is the figure that is in place for 2015), just about everyone who works for any length of time will qualify for these benefits. Though Social Security is primarily intended for people who have attained senior citizen status, if you were to become disabled, if you have sufficient retirement credits you could qualify for Social Security Disability Insurance benefits. If you gain eligibility, you would receive a monthly payout. Your eligibility for SSDI would have nothing to do with your financial resources. Even if you have a significant store of assets, you could potentially qualify for SSDI if you can prove that you are disabled and unable to work. 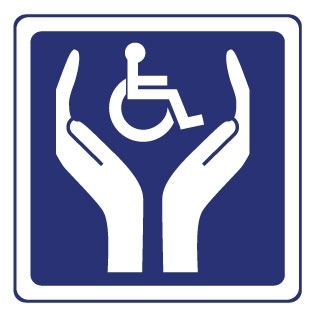 Supplemental Security Income (SSI) is another government program that will provide monthly income to qualified individuals. You have to prove that you are disabled and incapable of working to qualify for SSI, and you also have to prove that you have a significant level of financial need, because it is a need-based program. Eligibility does not hinge upon the accumulation of retirement credits. Since SSI is only available to people who can prove that they have financial need, a person who was to come into some money could lose eligibility. If you wanted to provide resources for a loved one with a disability who is enrolled in this program, you could make this individual the beneficiary of a special needs trust. The trustee that you name in the trust agreement would be able to use the money to satisfy needs that are not being met by government programs, and these expenditures would not impact ongoing eligibility for SSI. Our firm can help if you have questions about SSI, SSDI, or any other relevant topic. We offer free consultations, and we would be glad to answer your questions and provide you with recommendations. To set up an appointment, send us a message through this page: Naples NY Special Needs Planning.